Museum is a symbol of Darlington’s history as the ‘birthplace of the railways’. The museum itself is on the original route of the Stockton and Darlington Railway, the world’s first steam worked railway. Explore the railway heritage of the North East of England through a remarkable collection of locomotives, carriages, models, signs, interactive displays and other exhibits. 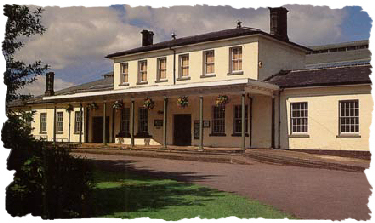 The Museum is devoted to the area formerly served by the North Eastern Railway, with particular reference to the Stockton & Darlington Railway, and the railway industry of Darlington. Exhibits include Stephenson’s “Locomotion No. 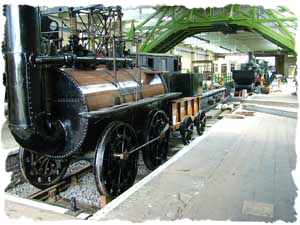 1”, built for the opening of the Stockton & Darlington Railway, and “Derwent”, the earliest surviving Darlington built locomotive, on loan from The National Railway Museum Collection. Locomotion is one of the oldest surviving steam engines in the world and the first ever steam train to carry fare paying passengers. A range of smaller items including station and lineside signs, uniforms, furniture, tableware and paintings, complements the larger exhibits.